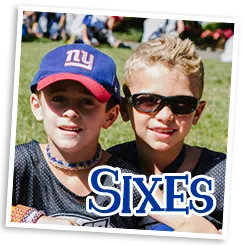 At Pierce, our camp-wide program grows with your child year after year! A Pierce summer is built upon the concept of natural progression. 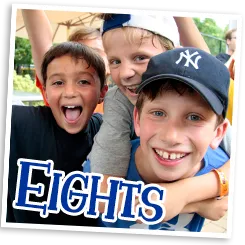 Campers thrive in this exciting structure which includes developmentally-appropriate activities tailored to each age level. And, every summer there is always something more than the summer before! At Pierce we make sure that the best keeps getting better! Success for All at Pierce Country Day Camp! At Pierce we wholeheartedly believe in the 3 R’s of summertime learning….Really Creative…Really Supportive…and Really FUN! No matter the age or ability level, every camper will experience success. As campers take safe risks and succeed in new adventures, their confidence and self-esteem soars! We emphasize a nurturing, non-competitive atmosphere that encourages participation, exploration and feelings of accomplishment. Our caring staff members give expert guidance while promoting sportsmanship and team spirit. Our sports program offers a comfortable atmosphere emphasizing skill development and individual achievement. The Pierce sports facilities and curriculum have been designed to accommodate all ages and skill levels. This approach creates maximum opportunities for growth and accomplishment.